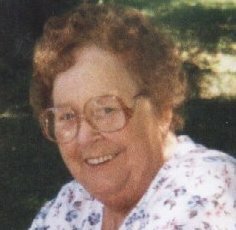 Shirley L. “Squirrely” Thompson, 81 and a resident of 225 W. First St. Oswego passed away Sunday evening at St. Luke Health Services, Inc.
She was born Oswego and was the daughter of the late Albert and Gladys France Nearbin. She is survived by three daughters Pamela (Larry) McRae, Jr. and Carol Polisse both of Oswego, Diane Lopez of Hannibal, five sisters Joan Greeney, Bonnie McRae, Jackie Ponzi, Gladys Woodward all of Oswego and Betty Miller of Penn, six grandchildren Shawn McRae, Chris McRae, Stacy McRae, Steve Lopez, Kalee Polisse, Brandie Polisse, nine Great grandchildren, several nieces and nephews. In addition to her parents she was predeceased by two children Patty Thompson and Donald Thompson, Jr., two sisters Sally Matott and Mary Ford and her longtime companion Charles Kelly. Funeral services will be private at the convenience of the family. Calling hours will be held Tuesday 3-6PM at the Dain-Cullinan Funeral Home.